Your goal is to reach Lihula highway and then Valgeranna. Cross the city centre bridge. Turn left at the first traffic lights on Jannseni Street. Drive along Jannseni, cross the arch bridge and turn right. Drive to the roundabout (outside the city) and take the second exit. You are now on Lihula highway. Cyclists should stay on the left side of the road, because there is a nice bicycle road. 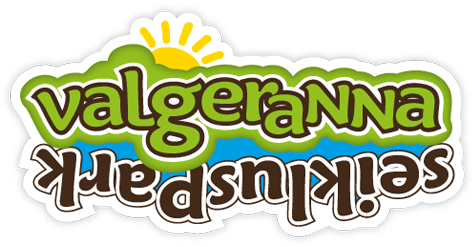 Drive 3 km and turn left towards Valgeranna (there are road signs and Valgeranna Adventure Park sign). Drive 3 km (you will cross a bridge and see a golf course). You will reach a big parking lot, where you can leave your car. Bicycles can be left next to our ticket office. A promenade heads towards the sea. Our ticket office is next to the promenade. Valgeranna Adventure Park’s official partner is GoTakso. Order GoTakso by dialing 1200 or +372 6 34 34 34. Taxi ride from Pärnu city centre to Valgeranna costs 8€ (up to 4 persons). Taxi van from Pärnu city centre to Valgeranna costs 12€ (up to 7 persons). Public transport. Bus no 25, available from 13th of June to 20th of August. Departures from Pärnu bus station to Valgeranna and from Valgeranna to Pärnu. Departures from Pärnu bus station every hour. From 9:07 until 18:07. Departures from Valgeranna every hour. From 9:56 until 18:56 and 21:56. The goal is to reach Lihula highway and then Valgeranna. Turn right at Nurme gas station, which is 8 km before Pärnu. Drive straight for 8km and turn right. A sign points towards Lihula (Lihula 51 km). Drive 1.5 km and turn left towards Valgeranna (there are road signs and Valgeranna Adventure Park sign). You will reach a big parking lot, where you can leave your car.